However, Kohli, a promising cricket skipper worldwide said on his way leaving to England, “The hunger to win and ruthlessness is what we all seek all the time.” He did not seem a bit distracted to thrive for success even after the fallout reported with Kumble. 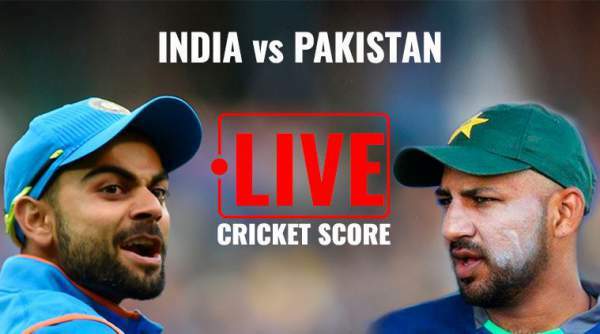 Meanwhile, India will face off Pakistan after 6 years on a real cricket pitch in Edgbaston, Birmingham, which has been a dream of every die-hard Indian cricket fan from a long time. Shahid Afridi, the former Pakistan cricketer, said in an interview with icc-cricket.com, “While Kohli is the backbone, India possesses considerable firepower around him. Rohit Sharma, Shikhar Dhawan, Ajinkya Rahane, Yuvraj Singh and MS Dhoni are all match-winners. He also talked about the bowling line of the Indian team and angled towards the ‘balance’ which is held tightly by Bhuvneshwar Kumar and Mohammad Shami including everyone’s favorite R. Ashwin & Ravindra Jadeja. With the new captain Sarfraz Ahmed, the Pakistan Cricket Team witnessed a considerable boost in its batting lineup which has been the biggest letdown for team’s performances over the years. He has shown par excellence in batting and as well as wicket keeping skills. Faheem Ashraf is also proven to be a valuable asset to the squad. Both the competing teams should see this as “just another match” because any amount of hesitation would affect the on-field performance. Needless to say that billions of people have their eyes set on the schedule to witness a highly anticipated match. The ongoing dispute over the Kashmir region has led complications in showdowns of India vs Pakistan. The two teams haven’t competed since 2012-13. In addition, India turned down the idea of ‘series faceoffs’ in bygone years calling it “disrespectful” to the nation’s pride. Talking about Ind-Pak showdowns, the earlier won every 50-over & Twenty20 faceoffs against the latter. If India wins today’s match, then India would be riding with the touch competitors like Sri Lanka and South Africa in the upcoming matches. However, Pak has successfully defeated Ind two times in Champions Trophy history out of the three faceoffs. Stay tuned to TheReporterTimes for more cricket news!